In launching Lustra, our second collaboration with Atelier Swarovski Home, we celebrated the geometry of crystal. As architects we believe everything starts from geometry, so we devised a series of forms that vary depending on the cut of light each receives. 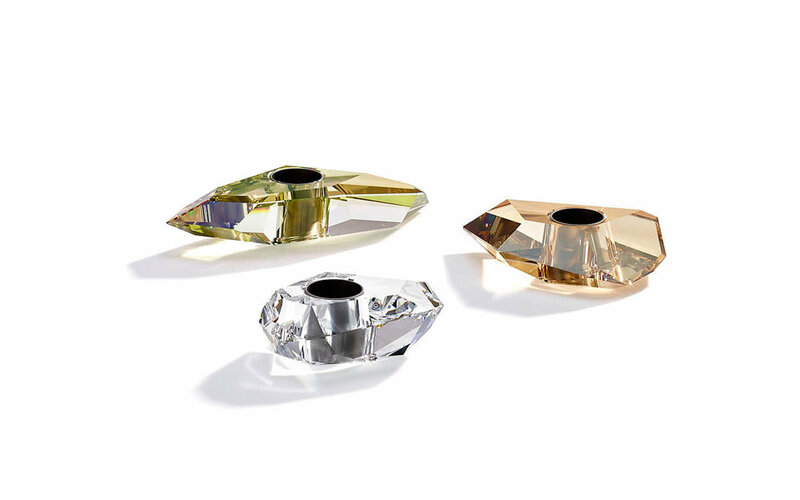 This collection investigates crystal as it works with light, and how different materials celebrate light. We decided to combine glass with beautiful metal plates in bronze to create something exciting and unexpected. Simple materials with a palette of fresh, contemporary colors, give life to eternal objects. Design is experiencing an amazing moment. Thanks to technology, we can see things now that we had never seen before. The design becomes an experience that everyone can share. It is a global treasure.